Mobile and Laptop Accessories: Give your trendy iPod a funcky accessory! Give your trendy iPod a funcky accessory! iPods are become a fancy gadget now, for music lovers and non music lovers too. Today everyone wants to own an iPod, because they are cool , trendy and hold most of your music with that large storage capacity. Which iPod are you is the next question? Apple manufactures different iPods to suite different users according to size, requirement and price. Earlier the iPods just had a white skin to them , a bit boring but bearing that standard "Apple" sleekness. Apple suddenly decided to go "color" which seems like a good move, because people can now have their favorite color iPod match their favorite dress ups. iPods range from small biscuit sized to a nice huge screen for comfortable video viewing . The shuffle's bear a capacity of 2GB , the nano's come with 16GB storage , iPod touch has 16,32 and 64 GB of capacity available. The mega of all if the iPod Classic which comes with 160GB , yes you read right, imagine 160 GB in the small device with music and a small display to watch all your videos and podcasts. So I imagine myself carrying all my music into one small device everywhere with me without the worry of any of my songs to repeat. Im sure im going to need more than a week to listen to all of them. Get the accessories you need to take your iPod on the road, to the party or anywhere you go. Now lets talk about the accessories that are available for these slim iPods. Apple has variety of headphones in store for music lovers on the street or in the swimming pool. 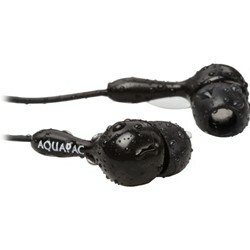 Oh yea, waterproof headphones, so if you to swim with some personal music, go bonkers in the pool with these. Apart from these there are a lot more to choose from for over the water music experience. Looking at this I really feel like buying everything on the store, but big budget problems, plus these products with the apple brand are damn expensive. The headphones provide excellent noise cancellation or sound-isolating so if your mom is all over you about something to do , just plug these in and boom your into another world while your mom goes on rattling. They also have some exclusive over the ear headphones , you can check them out here. A dock provides a convenient and elegant home base for charging and syncing. And with the right cables, you can connect your iPod to your home stereo so you can share your music or to your home cinema so you can watch videos on the big screen. For those who don't know what a dock is , just consider it as a small base for charging and syncing your iPod and with the right cables you can just connect your tiny iPod to your home stereo and go all BOOM BOOM at home. You can also share music of watch a movie on your home theatre with a wide screen. Ah that seems enough to wake up the neighbours with a tiny-winy device. 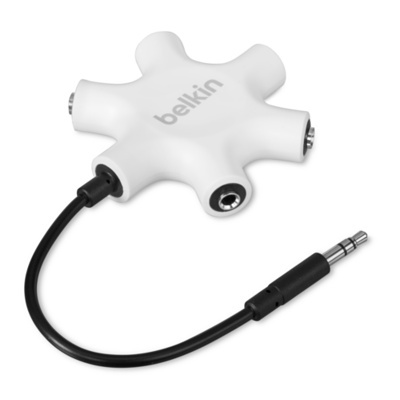 Oh wow look at this , Belkin RockStar Multi-Headphone Splitter + Aux Cable , nice small neat and sleek. I can already hear my neighbours at the door! If your car doesn’t include a built-in iPod connection, you can listen to your tunes from your car’s stereo with some simple accessories. So we covered listening to music while walking, swimming, cinema experience at home so what about that long drive to office or a holiday, cant miss out on music there eh? An iPod case doesn’t just offer protection from dust and fingerprints, it also lets you outfit your iPod with your own sense of style. We all know that our devices are not dust,scratches and fingerprint proof. For how long can we keep the device from fingerprints and scratches? Its not easy, so apple has a market full of cases, trendy ones to fit your style and some to fit your needs.